Geekectual: What Need For Speed (2015) got Right! What Need For Speed (2015) got Right! I was reluctant in experiencing the Need For Speed series once Ghost games took over but I was pleasantly surprised at what they did with it. While Need For Speed Payback is fun to play, it removed some of Need For Speed (2015) mechanics that made it so much better. Ghost Game created a world in Need For Speed (2015) where the player actually felt like he was a street racer. With cops all around, other players cruising by in their pimp out rides in the middle of the night. Everything just felt like it was authentic street racing. Sure, some people didn't like the fact that it was always online - that when you race, you sometime hit another player that is crusing in the opposite direction... but doesn't it just add a little bit of realism to this arcade world? 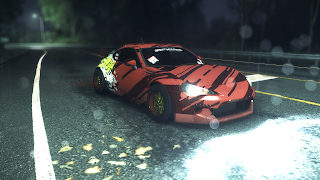 Being "always night time" was a big disappointment for many as well but I would argue that most street racing occurs at night when the traffic is at it's lowest - which is the reason why it is the general setting of the game. Ghost Games made changes in Need For Speed (2015) that was underappreciated by fans hence why Payback feels so much like a comeback to the comfort zone of the series. Payback is an enjoyable experience that is forgettable as a result of this familiarity. Need For Speed (2015) stands out and I find myself still picking this one up over Payback to this day. Which of the 2 games you like the most? Do you agree/disagree with what's been said here? Comment below!